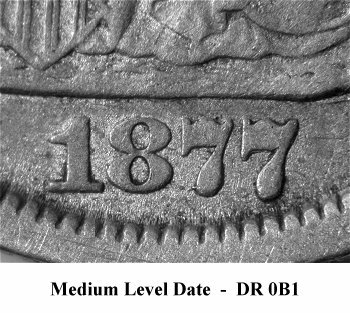 Comments: Obverse 7 is paired with a second reverse die that I have labeled as Reverse L. The Obverse 7 die state is nearly similar when paired with either Reverse H or Reverse L. The repunching of the last 7 digit in the date is clearly visible during both die pairings. 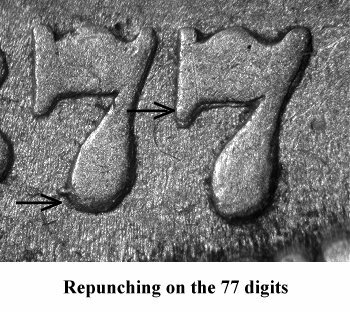 I suspect that the repunching at the base of the first 7 digit would be more visible on the plate coin if the grade was higher. 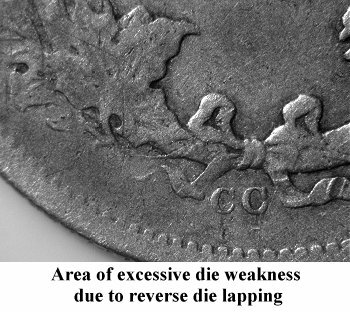 Of importance is the condition of Reverse L during this die pairing. The reverse die has been excessively lapped removing nearly all of the left ribbon end and minimizing any details in the lower left wreath leaves. 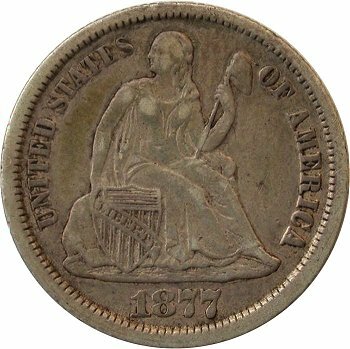 This is the second occurence of a badly lapped 1877-CC Type II reverse die. 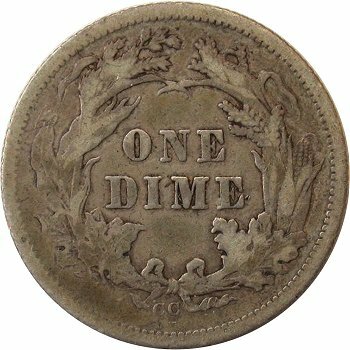 The first occurence is listed at Variety 102 and involves Reverse B.
I have also noted the same occurences of reverse die lapping for 1878-CC coinage, suggesting that all 1878-CC Type II reverse dies were left over from 1877 and were lapped before being placed into service. 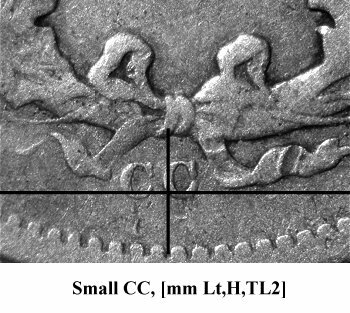 This theory may be incorrect as more 1877-CC Type II dimes appears with lapped reverse dies. Additional research is needed to characterize and explain this phenomenon.